Editors' note: The March 11 webinar with speaker Qasim Aziz is now available for viewing. Access the presentation and panel discussion below. In a March 11 webinar, presenter Qasim Aziz, Queen Mary University of London, UK, gave a talk on the need for reverse translational approaches to identifying new therapies for irritable bowel syndrome (IBS) and other visceral pain conditions. He presented his group's findings and those of other investigators, from animal studies and human tissue work, and explored how these discoveries can impact therapeutic development and clinical practice. Following the talk, a distinguished panel discussed important issues raised by Aziz's presentation and addressed audience questions. The traditional translational approach to finding new treatments for pain relies upon animal models of human disease to identify molecular targets and test candidate compounds, before further research is undertaken in humans. For visceral pain, considerable effort has been made to develop rodent models and biomarkers, especially the colorectal distension model and visceral motor response. However, the vast majority of drugs that showed efficacy in the rodent colorectal distension model have failed in clinical trials. Perhaps the time has come to think about reverse translation, where we study human disease models to identify targets, which can then be tested in animal models to explore more detailed mechanisms. What are required are models that allow complementary readouts in animals and humans, and more reproducible human biomarkers of disease. This has recently been achieved through single-fiber recordings of small intestinal mesenteric nerve activity in response to luminal distension and application of chemical stimuli. Supernatants generated from colonic biopsies from patients with inflammatory bowel disease and irritable bowel syndrome, when applied to the receptive fields of mesenteric nerve fibers in the mouse colon, cause an increase in activity. Our group has also demonstrated that single-fiber recordings can be made from the mesentery of surgically resected human appendix, and recently we found that applying the colonic biopsy supernatants to human appendix tissue causes an increase in mesenteric nerve activity. In addition, studies of human mucosal biopsies are providing evidence for up-regulation of afferent nerve receptors including the transient receptor potential channel TRPV1, protease-activated receptors, and acid-sensitive ion channels. And histological analysis of full thickness biopsies from patients with unexplained severe gastrointestinal symptoms is demonstrating the presence of neuropathy and myopathy. Opportunities therefore now exist for systematic study of ion channels and receptors on human visceral afferent nerves. Through human tissue studies and clinical trials, we anticipate that this will help to improve the potential for drug development. Want some related reading? See the recent papers under Related Content in the right column of this page. 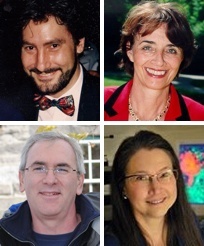 “Translating Science into Treatment: The Example of Visceral Pain” is the seventh in a series of PRF webinars supported by the Mayday Fund. See previous PRF webinars. Sensory neuro-immune interactions differ between irritable bowel syndrome subtypes. Human visceral afferent recordings: preliminary report.